About - Stephanie K. Martin, MS, L.Ac. Stephanie K. Martin, MS, L.Ac. Stephanie K. Martinis a California state licensed acupuncturist and herbalist, specializing in women’s health, fertility and pregnancy. She holds a Masters of Science in Traditional Chinese Medicine from the Acupuncture and Integrative Medicine College in Berkeley, California. Stephanie is in the process of becoming a fellow of the American Board of Oriental Reproductive Medicine (ABORM). Stephanie is passionate about women’s health and supporting both men and women facing fertility challenges. She enjoys working with her patients to tailor treatment strategies specifically for their needs, whether they are looking to pursue Chinese Medicine as a sole therapy, or in conjunction with their Western Therapies. Her unique treatment approach blends her skills as an empathic listener with her extensive training in Traditional Chinese Medicine and a strong foundation in modern medicine. Her treatments are customized to bring each individual into their natural state of balance and vitality by incorporating a variety integrative treatment methods, including acupuncture, Tui Na massage, cupping, moxibustion, nutritional counseling and herbal medicine. 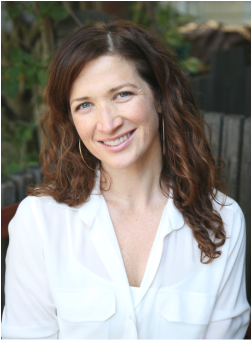 She is a current member of the California State Oriental Medical Association and is also certified in Holistic Sports Medicine Acupuncture.